Image: Press Herald via Getty Images. The holidays are the one time of year when cookies, sweets and all sorts of treats are suddenly everywhere, and while other publications might tell you to watch what you eat, we say lean into that sugary, carby goodness. Embrace it fully. Get your hands on as many seasonal goodies as you possibly can. You only live once, right? Krispy Kreme agrees, and that’s why next week, on Dec. 12 (that’s 12/12, aka the Day of Dozens) they’re offering a special deal that will help you get a dozen original glazed doughnuts for just $1. There is one tiny little catch. In order to get the $1 dozen, you have to first buy 12 doughnuts of your choice. We recommend loading up on their holiday flavors, like the cinnamon swirl doughnut. The good news is you can enjoy the deal twice because, that’s right, the deal is good for two per customer and who doesn’t want to show up at the office with 48 doughnuts? When you arrive with these little glazed clouds of happiness, you’ll definitely be the most popular person there for the day. Of course, nothing’s stopping you from lugging them all home to enjoy while binge-watching the new holiday-themed season of Nailed It! alone or holding a screening of Elf for your friends for the bazillionth time. 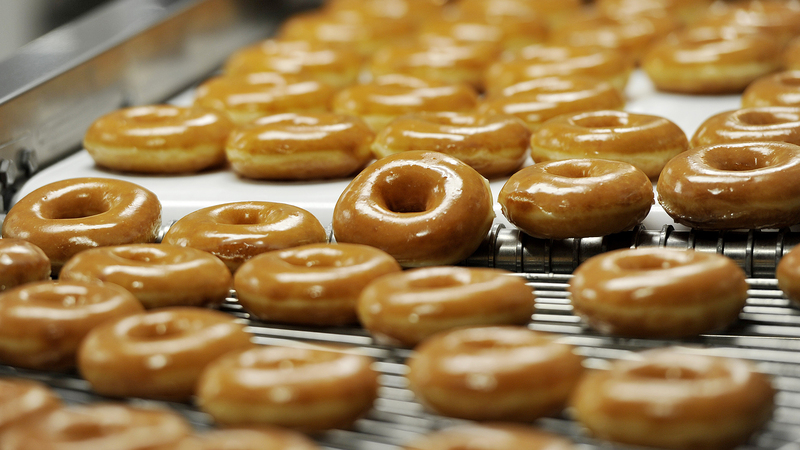 Doughnuts for breakfast, lunch, dinner and snack time? It’s the season of giving (yourself yummy food), so why not? !